It's what you'd expect from a standard HDD. Not too fast, not too slow, but plenty of storage. Cheapest 1 TB 7200 RPM drive available. It is also a Western Digital company so the drive should be reliable. I have had no issues with this drive so far. Got this HDD for free with my ROG laptop and I needed to replace it immediately. 1TB is nice for a data drive, but even at 7200 RPM the system was slow to load levels on Overwatch. When I got dropped from a team because I couldn't load the level fast enough, I had enough and upgraded to a Crucial MX300 right away which was like a dream. 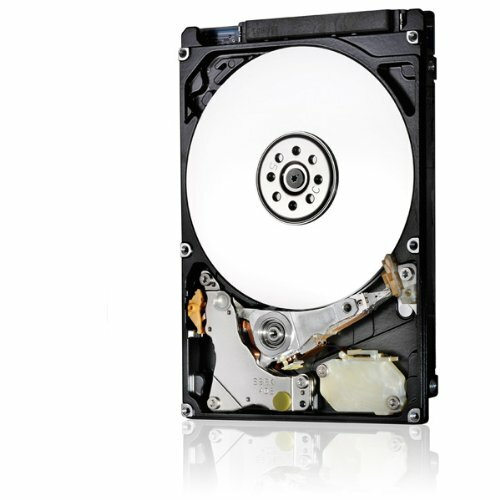 General Did you know that Hitachi, although being a part of Western Digital, has a tremendously lower HDD failure rate than WD hdds and even Seagate ones, according to the yearly reports of Blackblaze cloud service and their own mix of tens of thousands of hard drives? Alternatives: in this price range, there is none. Barracuda, Blue and other series of WD and Seagate tent to fail and die in the first 1-3 years mostly, while this Hitachi is likely to live 5-7 years, does 7.200 RMP and isn't using 4kb sectors (which makes it perfect for Linux performance usage). There are other enterprise class hdd's from hitachi named Ultrastar, if you want something for 24/7 server. I chose 2.5 inch, because I have NZXT s340 tower, where I can mount 2x2.5inch at a convenient spot. Package: Mine came in a comfy anti-static bag, with silicon bags on both ends, probably to protect it better. 56 eu for this? Here, take my money! Rather slow, but still way better than a 5400 RPM drive. from completed build It's a Work in Progress. Quiet, for a HHD, but still slow, and didn't last as long as I would like. Fine for backups and mass storage.